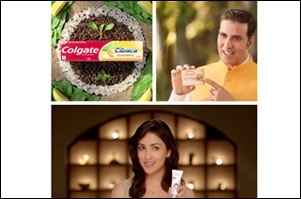 What's Patanjali trying to say in this stylised ad for Paridhan? Baba Ramdev's Patanjali is out with a new ad for its apparel wing Paridhan. A look at the message. "Jeans that are ripped just enough to be 'sanskaari' are neither a millimetre less nor a millimetre more ripped, so as to keep the Indianness of men and women intact." These are words that helped Baba Ramdev grab quite a few eyeballs in a candid video interview with The Print (a Delhi-based media startup) in November while inaugurating Patanjali's first apparel store 'Patanjali Paridhan' in Delhi. Naturally, the internet was abuzz and Twitterati didn't shy away from sharing their disdain pointing out that Patanjali even ousted Tommy Hilfiger jeans when it came to exorbitant prices. There were even reposts of an old video of the Baba making fun of western apparel. The Indian market of ready-to-wear and lifestyle brands is currently loaded with international rivals (Adidas, Nike, Puma, and Levi's). We asked KN Singh, CEO, Patanjali Paridhan, how he thinks the brand distinguishes itself in the market to make its products viable. "It is true that several international/MNC brands are present in today's retail fashion segment in India; however, their business model is either direct retail or through brand licensing. Such business models have a major impact on the MRP of products which get loaded with licensing fees and/or the brand's global expenditure, which generally makes the prices go up. In this market situation, viability may be counted on by factors like being fashionable/trendy and the quality of the products," Singh explains. "At the Patanjali Paridhan store, we made a blend of Indian cultural traditions, handicraft and weaving while considering modern trends with product categories that are affordably priced," he adds. Being a fairly late entrant to this segment, there's no lack of older reference points for consumers which can pose a challenge to the product line. With the vast number of similar players in the segment, perks like discounts can have a significant influence on consumers. Singh shares his take on tackling those challenges through advertising. "Patanjali, today, is a name that has a place in almost every Indian household. The advent of Patanjali Paridhan should not be considered a late entry as it has just begun its journey. Basis the market research data, fashion and accessories are the second largest contributor to the overall retail industry, after food and groceries," states Singh. Organised branded retailing holds a tiny percentile compared to the industry's overall size and the irony is that imitation products have the major market share. Many brands have still not yet come to India and the market is yet expandable. Patanjali Paridhan, is the latest addition in a long line of products launched by the company that focuses on 'Swadeshi' and all-natural items. We were curious to know what layers of certification the product had to go through to acquire the 'All Natural' tag. Today, since there's a renewed interest amongst consumers and brands to go 'all-natural' we asked Singh if the brand plans to ride the same wave. "Patanjali is known for its 'Swadeshi' identity. Patanjali Paridhan is also following the same philosophy and is bound to give a spurt to the Swadeshi identity. It reflects in the brand's tag line - Swadeshi Ka Swabhiman", he replies adding, "We have also taken care of environmental causes and have thus ensured that most of our products are Azo-Free, APEO-Free, NEEO-Free, and Accessories/Fashion Jewellery are free from heavy Metals like Nickel, Lead and Cadmium." Singh confirms that the brand has been sourcing from 90+ registered vendors who make and supply products following designs and developments created by them. Baba Ramdev-led Patanjali launched its three sub-brands - Livefit, Aastha and Sanskar. These house apparel for men, women and children and ranges from denim and casual-wear to ethnic and formals. The brand also claims that symbolic of other Patanjali Paridhan online products, the clothing line will also be cheaper than other brands available in the market. Regarding challenges and opportunities in the segment, Singh simply says, "Fashion is challenging, but the opportunities are endless." Shifting back to the advertising perspective, we asked Singh how he would assess the different media vehicles (OOH, Digital, TV) while parking media money. "Digital Media has maximum reach today. Upcoming fashion trends and our number of stores would definitely help us decide our media spending," Singh responds. About the fancy and rather vibrant treatment of the ad, Anil K Nair, managing partner, L&K Saatchi & Saatchi says that India is a country with kaleidoscopic textiles and design palettes, so it's only fair to do justice to the same and be proud of its exciting textile heritage. "We also had to capture a pan-India feel, since there is a nationalistic underpinning of thought," he adds. The film was shot extensively in the south, north and west of India. "We even had the pleasure of Babaji himself acting in the grand finale," he recalls. Speaking about the media span, Nair shares, "This is predominantly a digital-first campaign that will also be seen on TV, print, outdoor, radio, and amongst influencers," he informs. "We are planning to follow an Indian calendar of festivals with events like Holi and Vasant Panchami, to celebrate with our consumers. We have activities and events planned both at the retail level and on digital.," Nair adds. To Athul Chathukutty, creative director, Happy mcgarrybowen, the pace, colours and energy are on point, very unlike anything Patanjali has put out so far. "And whether you like it or not, the song sticks," he adds. But somewhere it turns into yet another cardboard cut-out breakdown of India, packed with visual and apparel clichés. "And the less said about the last five seconds, the better," he says with a smirk. He sums it up, "I guess the ad does a good enough job of communicating the category and the offering clearly and that's more than most." But, does this campaign offer any other reason to buy, except for its be-Indian-buy-Indian appeal? Jagdish Acharya, founder and creative head, Cut The Crap, explains, "Ethnicity does have the potential of a competitive platform, if not an edge. There's no effort to weave together a believable story here, no focused product line, no rooted support. The ad pastiches India while the apparel showcased is a khichdi of western and Indian ideas." The success of the brand, however, will depend on the actual product and its fashion-ability. The buzz about anything 'Ramdev' will ensure the brand some initial traction. Who's Afraid Of Baba Ramdev's Patanjali?